There are many corporate gifts available to choose from these days and whilst many go through phases of popularity (the stress ball for example) one of the few that remains consistently popular is the promotional pen. There are many reasons why pens make great gifts – their practicality, aesthetics, cost, their many possible designs, etc. – but when it comes to promotional purposes their ability to be personalised in a variety of exiting and innovative ways is what makes them really stand out. For something so small and simple as a pen it is truly extraordinary just how much room for customisation and personalisation there is. The three main areas to take advantage of are the clip, the barrel and the box it comes in; but it is possible to take advantage of the entire body of the pen and personalise it completely. It can be hard to envisage the kind of things that can be done to or put on a pen without seeing it in person or knowing what level of customisation is actually plausible. To give you an idea of what is possible we're now going to list seven ideas for personalised pens; which should be more than enough to ignite the spark of imagination and inspire more individual and creative personalised pens. Company Name: Let's start with the basics. 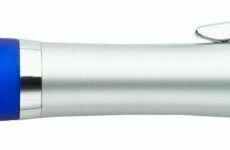 When most people think of the personalised pen they picture it with the gifting company's name printed along the barrel. This is a perfectly acceptable way of personalising a pen, and it really does not need to get any more inventive than this; however sticking to just this does not make the best out of the opportunity granted to you by the pen's whole body - it would be like having an entire billboard but only using half of it. Logo: Leading on from the last point, if the company name is going along the pen's barrel then there is still the pen's clip to consider. 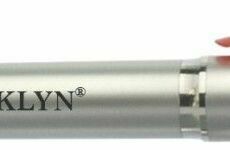 It is pointless leaving a pen's clip bare but depending on the size of your company name it can be difficult to fit it on to the clip; however it can be used to play host to the company logo, thereby furthering the personalised pen's use as a brand recognition tool. Website: It is never a good idea to cram too much onto a pen, or it may start to look cluttered and unfocused. However in this day and age having your website out there is not only a good idea, it is one that you ought not neglect the opportunity to do. This is easiest to do if the company name is short, as then it can go on the clip and the website can go along the barrel; but if this is not the case then it helps that the shape of a pen is generally rounded, which is why it is not uncommon now for a pen to have the company name along the barrel with “www.” centred above it and “.com”, “.co.uk”, etc. centred below it. Strapline: If the company name is able to fit neatly on the clip, then there are other ways to personalise a pen's barrel other than placing the website along it. One such way involves placing the company strapline or slogan along it, which will help with brand recognition and, depending on what the strapline is, make your pen more attractive and eye-catching. Phrases: Not everything you put on your pen has to be explicitly about your company, in fact a lot of our customers request for their personalised pens to include their name or logo on the clip, leaving the barrel free to be printed with a relevant humorous or popular phrase that is not directly connected with the company. 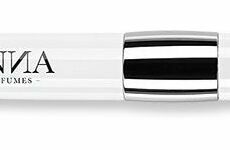 This may seem counter-intuitive but it actually works, as the person receiving the gift may become endeared to the pen's message and end up using it more often, extending the personalised pen's promotional reach. Cases: Some promotional pens come in protective or decorative cases, which gives you the opportunity to take advantage of even more printable spaces. The outside of a case is normally a good place to have a company logo, especially if the logo is decorative and aesthetically pleasing, as it alone ought not come across too ostentatious, but will still help your company remain in the receiver's mind. Messages: If the pen you're gifting is for a particularly important customer, a small group of sponsors or something similar, then you will probably be going for the kind of pens that will come inside a quality decorative case. This is extremely fortuitous, as you will still be able to gift a personalised pen, but can also include a short message, such as “Thank you for your support”, inside the case. This level of consideration and care is a very sincere and positive way of ingratiating a company to another. All businesses need to promote themselves in order to be successful – it is one of the 4Ps of the marketing mix after all – but with so many avenues of promotion available to companies these days how can you really know what method will work for your business?